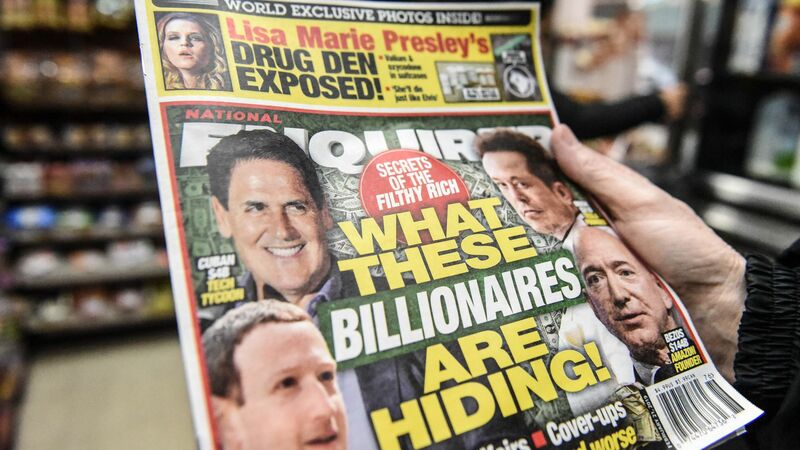 The National Enquirer is sparking a media crossover, with activists pushing to persuade stores to stop carrying tabloids in light of recent scandals around the publication. Why it matters: So much of the attention on fake and malignant news has been on the platforms — Google, Facebook and Twitter. But a major chunk of the questionable media consumed in America is still seen in print, often in the checkout aisle. "Unlike most magazines, the National Enquirer is heavily dependent on sales of individual copies, not subscriptions. Seventy-five percent of sales come through single-copy sales at chain stores," Popular Information's Judd Legum notes. "The dominant retailers for the National Enquirer are Walmart, which accounts for 23% of all sales, and Kroger, which accounts for 10%. Other major retailers of the National Enquirer include Giant/Food Lion, Albertsons/Safeway, CVS, Publix, Hudson Retail, and Walgreens," Legum writes.